Explore Perth's surroundings by going to Mandurah Cruises (in Mandurah) and Fremantle Prison (in Fremantle). Pack the 22nd (Fri) with family-friendly diversions at Adventure World Perth Australia. 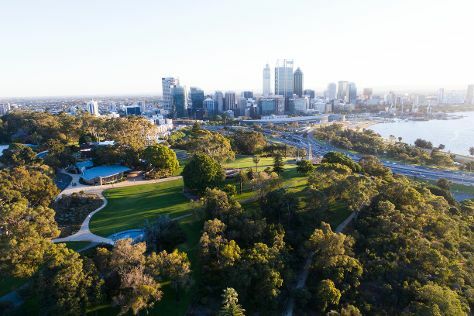 The adventure continues: admire the natural beauty at Kings Park & Botanic Garden, kick back and relax at Cottesloe Beach, appreciate the history behind Kings Park War Memorial, and take in the views from Elizabeth Quay. To find other places to visit, ratings, photos, and other tourist information, read our Perth road trip planning tool . If you are flying in from Canada, the closest major airport is Perth International Airport. Expect a daytime high around 38°C in February, and nighttime lows around 20°C. Wrap up your sightseeing on the 22nd (Fri) to allow time to travel back home.